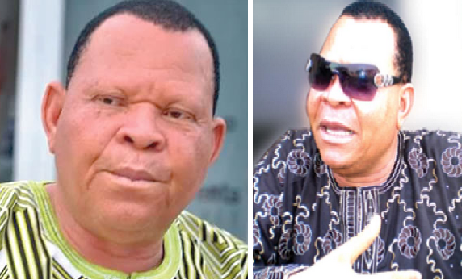 Popular Yoruba actor, Eleso has said indecent girls, bad movies churned out are the two major factors that chased him away from Nollywood, He however also mentioned the piracy sector, but it was the least, lol. “A lot of people have been asking me this question lately. If you notice, many of the people in my category that we started acting at the same time are no longer that vibrant in the industry. It is because we are afraid of the type of scripts that the children are churning out these days. Even in my house, I cannot watch most of the films that are released nowadays because there is really nothing to learn from them. Many of the actresses don’t dress properly. And because we are not their parents, they don’t listen to us. You cannot expect people whose parents are not responsible to behave well. You cannot see people whose parents are theatre practitioners, or those who actually trained for the job, behaving badly. Another major issue which is killing the industry is piracy. Many of us borrow money from banks just to shoot movies, and at the end of the day, we are not able to recoup our funds because of piracy. There was a time I caught the person who pirated a particular movie of mine, and he threatened me that if I took him to the police station, he would come back for me. He told me that he used to be an armed robber, and that it was when they killed his gang mates that he started piracy. At that point, I had to let him go. The government really needs to do something urgently about piracy. If there are strong punitive measures for pirates, you would see that it would reduce drastically,” he said. » "My Landlord Acted Out What I See In Movies To My Face"